According to the Alzheimer's Association in the US, Alzheimer's disease is a form of dementia that shows symptoms such as a reduction in memory and thinking. It affects behavior as well, and is slow in onset, progressively developing over time so that it eventually interferes severely with a patient's daily functioning. The family of Alzheimer's patients find adjustment difficult and need guidance, as well as support. Following is a list of activities and games that caregivers, family, and friends can enjoy together with an Alzheimer's patient. Patients with Alzheimer-related dementia will, as the disease progresses, eventually need help to plan their day. Activities and games need to be structured in such a way to keep the person happy and offer an overall sense of security and stability. This is very important and can help a lot to limit behavior like wandering and agitation. 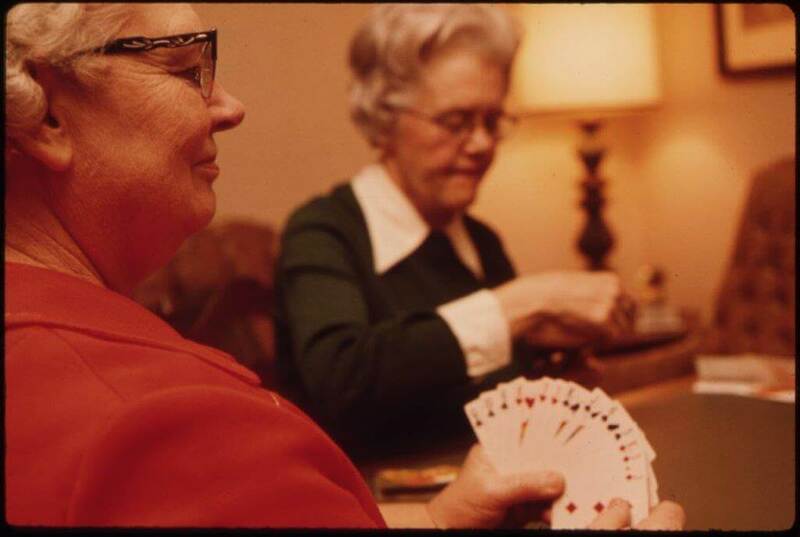 These games and activities are also effective to structure time for an Alzheimer's patient. If they are well-planned, they will help diminish confusion. An often overlooked aspect is that the caregiver should enjoy doing these activities with the Alzheimer's patient. This is likely to create a sense of togetherness and connectedness to another person for both, experiences that are regularly missing from these patients' lives. Focus on the process and not the result. Offer a sense of accomplishment. With most activities, using common sense will go a long way to keeping a patient busy and stimulated. 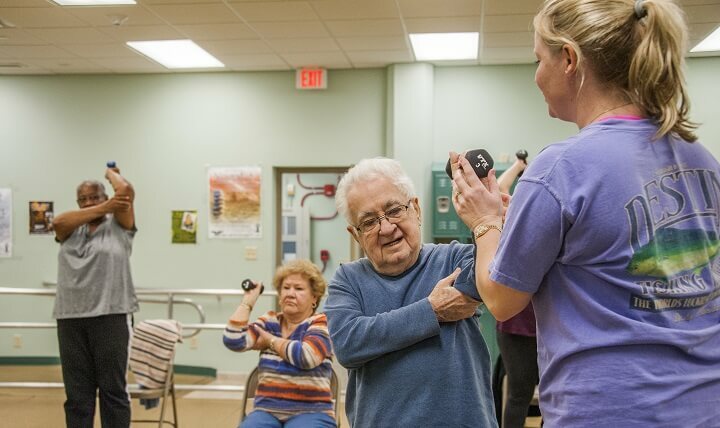 Cognitive and physical stimulation is paramount in managing the disease, as research has shown that keeping active in this way improves mental functions, and can even be preventative of dementia-related diseases like Alzheimer's. Unless you are a trained caregiver, be sure to inform yourself of the disease's symptoms and characteristics - this will help you immensely to understand your family member or friend better. Compassion and a good dose of practicality are crucial to ensure the success of these activities, and to preserve your sanity! Never over-extend yourself; if you're not OK, the Alzheimer's patient will not be OK either. Rather enlist the help of a professional carer(caregiver) to show you the ropes, or to help you engage your loved ones in healthy activities and games. If the patient still lives at home, the following activities can be considered. What is key here is the word 'together' - degenerative diseases cut patients off from not only themselves but others too. This means any activity you do with them will remind them of their humanity and that they are not only being loved but capable of giving love. This will go a long way to stimulating feel-good hormones in their bodies and can be very rewarding - not only for the patients. Remember to keep safety and the patient's ability top of mind when planning these activities. Mozart's Eine KleineNachtmusik, or Clarinet Concertos, etc. 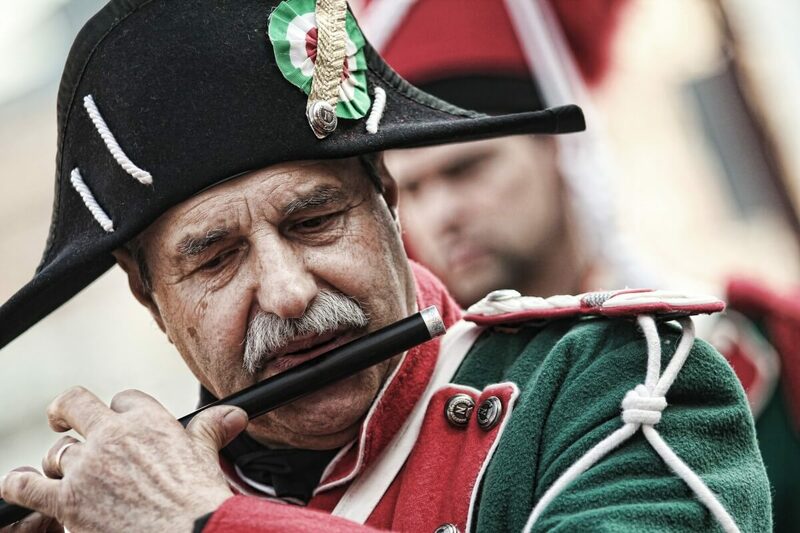 Playing Musical Instrument - another activity that is associated with magnificent brain stimulation and neural activity even in the spinal cord. It integrates the functions of the brain and all the senses. Every person can play an instrument - we did it even as children, banging on tables and upside-down containers. Get a set of drums and get banging - rhythm and rhythmically moving the body is very soothing and releasing physical activities. Gardening - Digging one's hands into the soil is an age-old therapeutic tool that will lift the spirit of anyone, not only of an Alzheimer's patient. Gardening or being busy outside engages the senses and provides gentle exercise that can elicit positive emotions, and have a very calming effect. Also, the light exercise boosts energy levels and helps to maintain an existing skill set. Depending on the person's fitness and overall health, consider activities such as raking leaves, planting and daily tending to herbs, vegetables and flowers that are easy to maintain (this can be done indoors too, in suitable containers), weeding and watering flower beds or vegetable gardens, and taking friends and family for a tour through the garden to show their efforts. Books, Poetry, andWriting - Stimulating the grey matter is of paramount importance, so Alzheimer's patients should be encouraged to keep reading as long as possible. Supply them with their favorite specialist magazines (such as those dealing with gardening, farming, motoring or any other hobby that they long held dear), storybooks, and poetry (including nursery rhymes) will all help to engage their mind positively, and stimulate feel-good memories. Avoid upsetting reading material such as the newspaper, unless it focuses on uplifting and positive news. Read poetry together, and even practice memorizing stanzas or lines from the patient's favorite poems or other works of literature. Read out loud to the patient - your voice and the cadence of the words are likely to be familiar and soothing to them. Other Creative Activities - Activating the centers in the brain associated with creativity has long proven beneficial in keeping the mind and brain healthy and young. These activities can include making Valentine's, Christmas or birthday cards together for family and friends (remember to cut, paste, paint, and draw with all sorts of creative mediums); making a large Family Tree with drawings, graphs and pictures; cooking a favorite recipe or stringing beads together to make birthday and Christmas presents. You could also knit or crochet together. Ask your patient to show you how to make or do something. Create a Memory Book using old photos, cuttings from newspapers and magazines, and the drawings of children or grandchildren. Other ideas are to create a Vision Board of activities you'd like to enjoy together in the days to come; to sort objects by shape or color; to do some scrapbooking, etc. Conversation - Simply engaging a patient in a conversation about their life will engage the mind and brain positively. Plan a half-an-hour or so a day when you guide them to talk constructively about any topic about their lives. These topics could include their first car, their favorite holiday destination when growing up, favorite childhood memories, their favorite sports/movie/political heroes, favorite food or dish to make or eat, stories of siblings and/or the children; the most beautiful thing they've ever seen, done, heard; the list goes on. If you're a family member, reminisce together about favorite holidays, the kids' antics when they were young, your funny family scandals, your wedding day, buying your first house together, etc. Take their hand or sit close to them on the couch while you chat - physical contact is so important for the release of endorphins and other important feel-good hormones. You can even go as far as recording these conversations for the family and friends and compiling a precious database of unforgettable moments. They will also serve to remind the family of the Alzheimer patient's humanity and ability to be happy, which can be very healing for everyone. Helping Around TheHouse - Alzheimer's patients, especially the older ones, often feel useless and redundant. To combat this, be sure to engage them in activities around the house such as washing the windows together, polishing the silverware, sorting the washing, baking cupcakes or bread together, making sandwiches, arranging fresh flowers together, sorting towels, sorting that messy cupboard in the kitchen, and so forth. Have Fun - Laughter is one of the most healing activities anyone can engage in. Even just smiling activates the pleasure centers in the brain, and laughter therapy is a thing. Engage in playful, childlike activities like blowing bubbles, playing with well-behaved dogs, telling each other jokes, reading jokes from the internet, watching a comedy, dancing alone or together, tossing a ball, writing funny poems or limericks, writing a funny letter to the family about your day and posting it on Facebook, singing old songs and allowing your inner Charlie Chaplin to make its appearance - in short, find ways to practice your happy muscles and engage your Alzheimer's patient, friend or family member. You may find your own life transformed! Exercise - Exercise is such a well-documented and proven brain enhancing activity, that not much explanation is needed. Daily exercise and movement are paramount to keep the patient not only in good physical health but to stimulate the brain. Depending on the patient's age and physical health, the program should ideally include aerobic exercises such as walking, swimming or jogging; strength training using elastic bands (Therabands) and flexibility training such as stretching all the muscle groups. Make it pleasurable by going for walks in the garden or the park, splashing or swimming in the pool or shallow waves on the beach, climbing a hill, taking the dog for a brisk walk, dancing together or freestyle to your patient's favorite beats, jumping or lightly bouncing on a good quality rebounder (this the patient can do alone, or you can have fun together on a large rebounder), and much more. Always be sure to keep the patient's safety and health in mind. Depending on the severity of the disease, patients can be encouraged to do readings, perform songs or dances, or recite their favorite poetry to others. Why not make a community get-together or a family date of it? These activities stimulate the mind and memory, and the events will encourage connecting with others. These can be truly bonding, therapeutic experiences for the whole family and remind everyone of the Alzheimer patient's identity, and of times when they were not ill. If you're not a qualified caregiver, enlist the help of one to organize these, as they will know how to do it. With your goal in mind, which is to keep your patient or family member's mind engaged in positive, focused and enjoyable activities, the following games will be suitable. Some can be played together, and in other games, the person can engage in while by themselves. Computer games such as Tetris, Solitaire, etc. In the US, The Alzheimer's Store offers a wealth of products and resources to assist caregivers. Games can be sourced according to the stage of the patient's dementia, with a good selection of books, puzzles, DVDs and more. If you're not living in the US, search the Internet or another database for similar shops in your area - it will certainly ease your task of finding games for Alzheimer's patients. Working with patients with Alzheimer's or related diseases is exhausting and can extract a great cost from everyone dealing with them. If you feel your inner light is dimming due to the demands of this type of caretaking, find yourself an online therapist or counselor to help you deal with it. Especially if you are a family member of an Alzheimer's patient, don't underestimate how much this debilitating disease affects you too. You simply cannot do this alone, so get help now with BetterHelp.